"Lower your shields and surrender your ships. 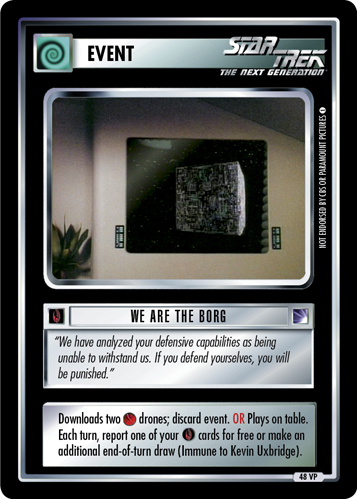 We will add your biological and technological distinctiveness to our own. Your culture will adapt to service us. Resistance is futile."